This center-grip shield has brass rivets around the outer edge for ornamentation and strength. With a center grip, it would be wonderful for fencing. 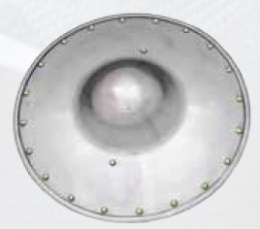 Many examples of similar shields survive in museums and in private collections. This page was last modified on 8 November 2013, at 08:23.